Home Entertainment Indian Idol 9 Winner 2017 Name: Who Won This Season’s Title II9? Indian Idol 9 Winner 2017 is going to be announced in few moments on the live show on Sony TV. Predictions for Indian Idol 2017 winner already being made by the audience. The reality show is one of the biggest platforms for aspiring singers around the world to showcase their talent and get a ticket to the Bollywood. Many ex-contestants of the show can be seen working as playback singers in top Bollywood films. Today the name of Indian Idol season 9 Winner will be declared on the live TV show where many Bollywood stars will also be present counting the heartbeats. It’s one of the biggest show in India is doing talent hunt around the country to give best hosts and playback singers to Indian Music Industry. Update: Revanth has won the season. Monali Thakur, Meiyang Chаng, Abhijeet are famous names in Bollywood industry who make their way through the show. Being having a direct Bollywood connection, many on-spots work contracts has been offered to the singers on stage by the producers. 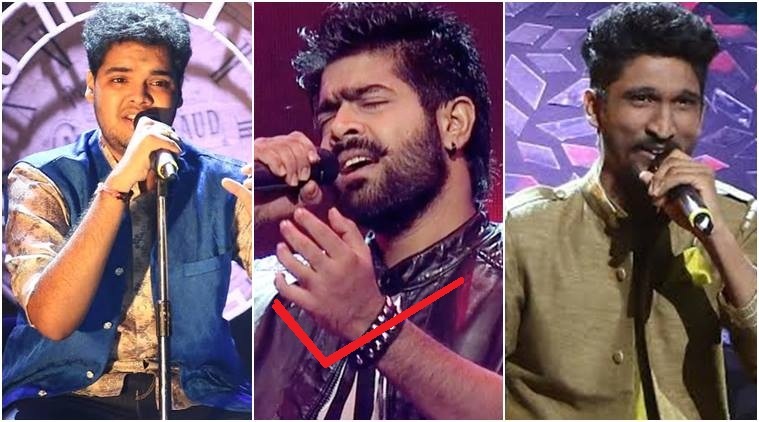 Revanth, PVNS Rohit, and Khuda Baksh are the three finalized contestants for the finale of IndianIdol season 9 (winner). Interestingly this time, Revanth a candidate from South India is competing against the participants from around the country and leading the show with a substantial margin. Power packed performances by all the singers during the last shows has won hearts of millions, making it difficult for the judges to identify the rightful winner of the ultimate crown of Indian Music Industry. Revanth got 48% votes: Well Known Telugu Singer who has also given song in one of the most popular Indian film, Baahubali. It was a tough job for him in adopting the classy style of singing in Hindi. Khuda Baksh 41% votes: The only finalist from Northern India is having fierce competition with the other singers. He is the one for whom his background doesn’t matter so much. PVSN Rohit 11% votes: Belonging to the Nawab’s city Rohit is from Hyderabad who is having a Nawab style and also has an extraordinary talent for singing, It would be interesting to see him becoming Indian Idol 9 Winner. However, this was only to identify the ultimate winner of the show, and we can see clear competition between Revanth and Khuda for the title of Indian Idol 2017 Winner. However, the third contestant Rohit appears to have comparatively fewer chances of getting finalized in the show as the ultimate winner. He will get Rs. 25 lakh as the cash prize. There is strong support for Revanth from the audience considering the hard struggle he has done to reach this level. It’s not easy for South Indians to speak in Hindi but Revanth did a hard work and proved everyone wrong by giving the edge to edge competition in singing even the most difficult songs of all the times. Let us know in comments who you think would be the winner of Indian Idol 2017. We hope that the ultimate most eligible contestant shall win the show. You can watch the show live on Sony TV or Jio TV for free. Previous articleHuawei P11 Release Date, Specs, Price: To Launch At MWC 2018?